Medical doctors driving taxis, architects selling beer on street corners, scientific institutes closed down amid rusting carcasses of industrial plants—these images became common at the turn of the 21st century in many once modern “civilized” countries. In quite a few of them, long-time neighbours came to kill each other, apparently motivated by the newly discovered differences of religion, language, or origin. Civil nationalism gave way to tribal, ethnic, and confessional conflict. Rational arguments of geopolitical nature have been replaced by claims of self-righteousness and moral superiority. These snapshots are not random. They are manifestations of a phenomenon called demodernization that can be observed from the banks of the Neva to the banks of the Euphrates, from the deserts of Central Asia to the English countryside and all the way to the city of Detroit. Demodernization is a growing trend today, but it also has a history. 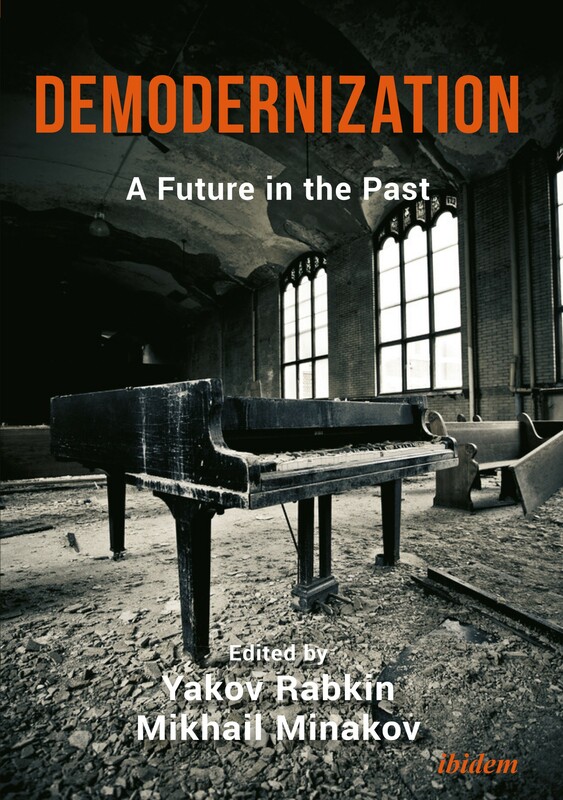 Seventeen scholars, including historians, philosophers, sociologists, and archaeologists, offer their well substantiated views of demodernization. The book is divided into three parts dedicated to conceptual debates as well as historical and contemporary cases. It book provides a wealth of empirical materials and conceptual insights that provide a multi-faceted approach to demodernization. Yakov M. Rabkin, born and educated in the Soviet Union, is Professor of History at the University of Montreal. His areas of interest include Russian/Soviet history, science and technology studies, and contemporary Jewish history. Author of several books and hundreds of articles, he served as an expert witness for the Standing Committee on External Affairs and International Trade of the Parliament of Canada and cooperated with the OECD and other international organizations on issues of science and technology policy. Mikhail Minakov is Principal Investigator for Ukraine at Kennan Institute/Wilson Center for International Scholars and DAAD Visiting Professor at Europe University Viadrina (ORCID 0000-0002-0619-7321). He is Editor-in-chief of Kennan Focus Ukraine and Ideology and Politics. From 2001 to 2018 Dr. Minakov worked as Professor of Philosophy at the National University of Kyiv-Mohyla Academy. His research interests focus on ideology, social experience, social and political imagination, as well as long term epistemological tendencies in modernity. He authored over hundred articles and research papers and several books including Kant’s Concept of the Faith of Reason (2001), History of Experience (2007), Photosophy (2017), and Development and Dystopia (2018).